Wardian cases, facing page 128 from The New Practical Window Gardener (1877) by John R. Mollison. Whether by land, by sea, or in the air, humans move around the Earth more frequently, in greater numbers, and further than ever before. Wittingly or unwittingly, plants and animals are carried with us onboard aircraft or in our luggages. The Wardian Case, which was on display at the exhibition at the Deutsches Museum, is one of the earliest examples of the impact that human technologies have had on the global mobility of plants. 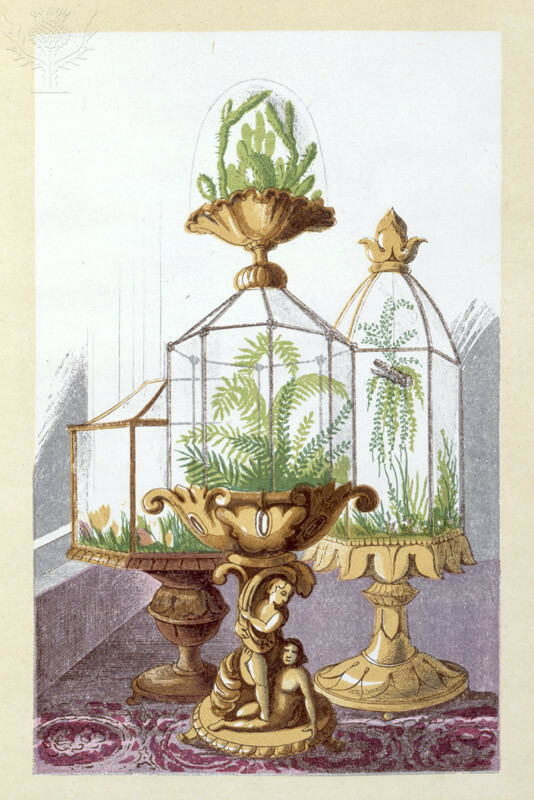 Using this portable greenhouse, which was invented in 1829 by Nathanial Bagshaw Ward, it became possible to convey plants by ship and to plant and cultivate them on new continents. New commercial, industrial, and environmental opportunities arose. Scottish botanist Robert Fortune disguised himself as a Chinese trader and used the Wardian Case to smuggle tea plants from China to India. A few years later, rubber trees (Hevea brasiliensis) were shipped from the Amazon River via London to Sri Lanka and Singapore. These cases of botanical espionage resulted in the beginning of the tea industry in India and the latex industry in Asia. Nowadays huge container ships provide the basis for international trade and globalization. Ninety percent of international trade uses ships for transport. Shipping has tripled since 1970 and it continues to grow. In 1956, a container ship could transport only about 500 to 800 containers, while today 18,000 containers can be transported around the globe on a single ship. The water ballast tanks that stabilize ships may contain up to 1,000 different species, who thus hitch a ride into new habitats. 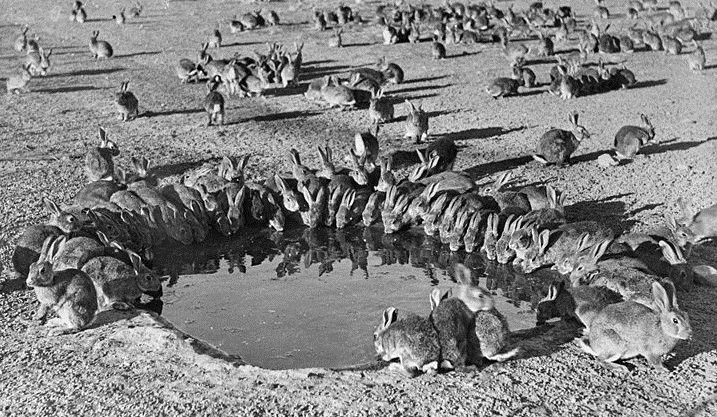 An invasive species: 24 rabbits were brought to Australia by a European in the nineteenth century; the population increased by 600 million within just 50 years. Even small, unremarkable items that humans use every day can serve as transporters for various species. Tourists transport pollen, blossoms, and seeds on their Velcro fasteners, camera bags, and shoe soles from one place to another; 70,000 seeds and plants thus arrive in the Antarctic every year, and dandelions and hairy bittercress grow there today. Transporting plants and providing new habitats is a mixed blessing. Invasive species spread quickly and replace domestic species, thus endangering the ecological system of their new habitat. Japanese knotweed is greatly feared in Great Britain: it damages foundations and reduces land prices. Giant hogweed, an invasive flowering plant from the Caucasus, is toxic and grows up to six meters in height. Created by Airwolfhound. View source. Humans are not only carriers of invasive species; they also create barriers to the mobility of plants and animals. 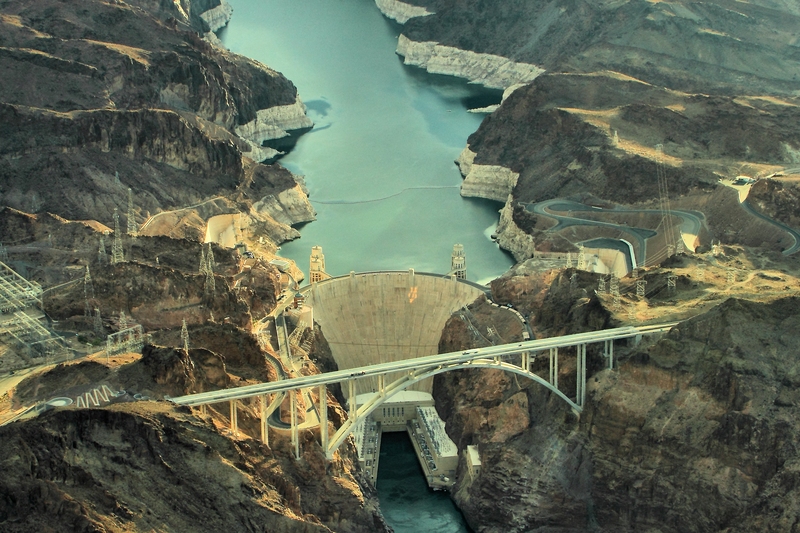 Dams, for example, stop natural water circulation in rivers, as well the movement of aquatic species; they have effects on the ecological system of animals living in the water and they can cause enormous ecological disasters. With globalization and the witting or unwitting interference of humans, the migration of animal and plant species into new ecological systems has increased on a scale that has never been seen before. Together with the Rachel Carson Center for Environment and Society, the Deutsches Museum hosted a major special exhibition on the Anthropocene from December 2014 – September 2016, which was curated by Nina Möllers. Coined by the atmospheric chemist and Nobel Prize laureate Paul J. Crutzen, the term “Anthropocene” describes the idea of a new geological era shaped by deep interventions into nature by humans as biological and geological agents. As part of a post-doc project at the Deutsches Museum she curated a special exhibition on the history of energy consumption in private households. Her publications include the exhibition catalogs Kabelsalat: Energiekonsum im Haushalt (2012) and Willkommen im Anthropozän: Unsere Verantwortung für die Zukunft der Erde (2015). She is grateful to Josephine Musil-Gutsch, Vanessa Osganian, Brenda Black, Helmuth Trischler, Iris Trautmann, Eliza Encheva, and Dorothea Föcking for their collaboration on this digital companion exhibition.